The days of customizing your iPhone or iPad using a jailbreak are quickly slipping away, and the possibility of an iOS 10.3 jailbreak seems as distant as ever. Several “reports” keep emerging periodically about Pangu or TaiG or even the now-retired-from-iOS-jailbreaking Luca Todesco being on the verge of a stable iOS 10.3 jailbreak, or even a more stable version of the existing iOS 10.2 jailbreak, but much of that is little more than hopeful speculation. But even without doing an iOS 10.3 jailbreak, you can still install apps that aren’t on Apple’s App Store. Using a process called sideloading, you can download and install such apps without jailbreaking your iOS 10.3 iPhone or iPad. The process is simple, you don’t need a jailbroken device and there are several really good tweaked versions of apps that you can install using the sideload method. Sideloading is essentially the act of moving data or applications from one device to another, as opposed to ‘uploading’ to or ‘downloading’ from the Internet. The Android system has long been open to the normal sideloading of apps on mobile devices, but iOS sideloading started out as a complex process that only those with developer experience could do. Until 2015, sideloading apps to iOS devices was a laborious process that required a developer ID, knowledge of Xcode and the compiling of iOS apps and so on. Since then, however, there have been tools created specifically for this purpose, one of the most widely used of these being Cydia Impactor. Cydia Impactor was created by Jay Freeman, known more popularly as saurik, the software engineer and businessman who created Cydia, a software distribution and installation tool for jailbroken iOS devices. Though originally created to remove data and “unjailbreak” iOS devices, Cydia Impactor is now used extensively to sideload apps onto non-jailbroken iPhones and iPads. And that’s possibly the best part about sideloading on iOS with Cydia Impactor. 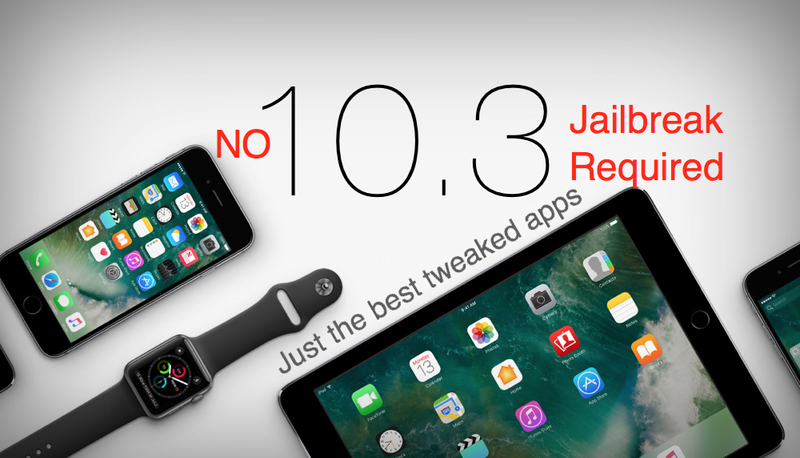 You don’t need an iOS 10.3 jailbreak or an iOS 10.3.1 jailbreak to sideload the apps you want. All you need is the latest version of Cydia Impactor, a desktop with the latest iTunes version, and an IPA file for the tweaked app you want to install on your iOS 10.3 or iOS 10.3.1 device. An IPA file is simply an archive file that stores an iOS app and has a .ipa extension. The benefit of using Cydia Impactor is that you do not need Xcode installed on your device to sideload IPA apps to your iOS device. As mentioned, all you need is the IPA file, a machine with the latest iTunes, and the latest Cydia Impactor on the same machine. In future articles, we’ll cover sideloading tweaked apps like Facebook++, YouTube++, Snapchat++, Spotify++, Twitter++ and many, many more. So bookmark 1reddrop.com and stay tuned!